There is now a third production road-going Porsche that has claimed a Nürburgring lap time of under 8 minutes, with the 991.2 Porsche 911 GT3 RS setting a time of 6:56.4, driven by Porsche works racing driver Kévin Estre, the time is some 9.5 seconds off the 911 GT2 RS, which completed its lap in 6:47.3. 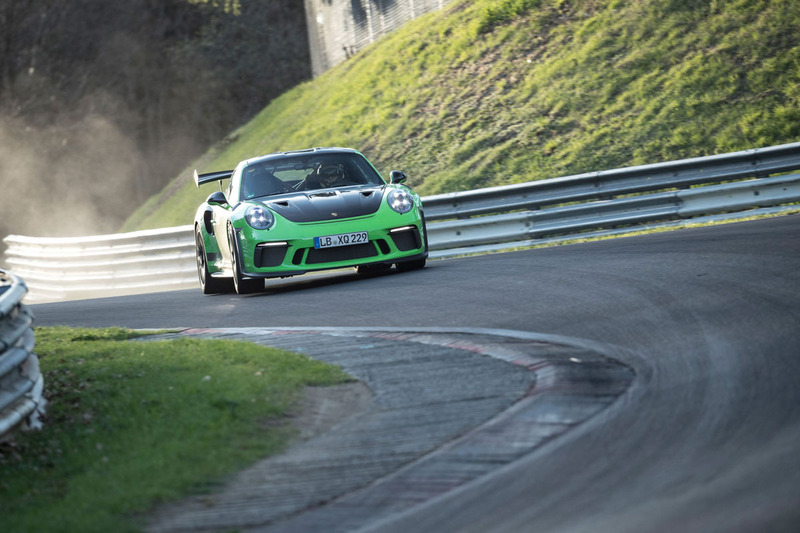 That may sound like a big gap compared to the GT2 RS, but not so on the over-20km loop of the ‘green hell’. It’s yet more remarkable when the GT3’s 178bhp and massive 207lb ft power and torque disadvantages are taken into account. The Porsche 911 GT3 RS was unveiled at the 2018 Geneva motor show earlier this year. 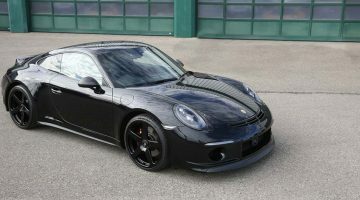 Mixing the naturally aspirated performance of a regular Porsche GT3 with the extreme aerodynamic looks of the turbocharged GT2 RS, the new GT3 RS costs from $198,000. 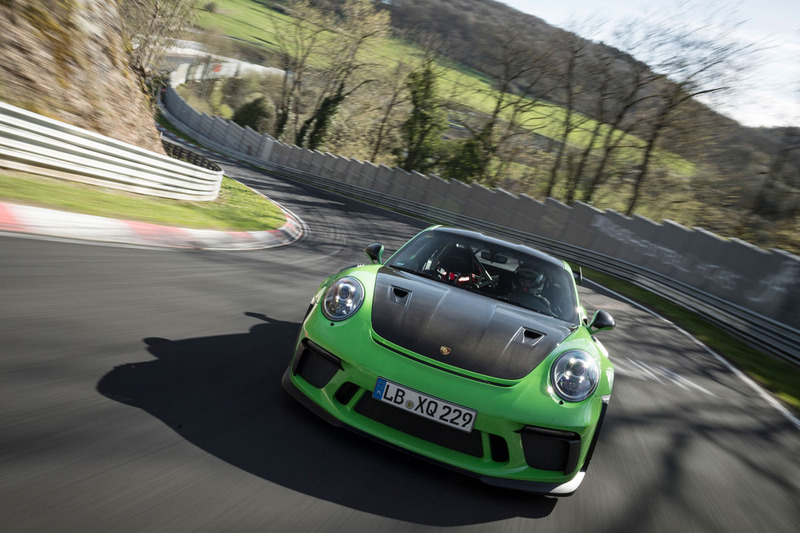 The GT3 RS’s naturally aspirated 4-litre flat-six is carried over from the previous-generation car (and the current GT3), with power increasing by 20bhp to 513bhp at 8450rpm (200rpm higher than its predecessor) and torque rising by 7lb ft to 346lb ft. There’s a new titanium exhaust with 91mm diameter pipes, a revised intake system and a new engine management system that account for the slightest of gains in the sprints (at 3.2 seconds it’s a tenth quicker than the old car to 100kph) but will have a bigger impact on the car’s as-yet-undisclosed Nürburgring lap time. Those hoping for the GT3’s manual gearbox option will be disappointed to hear the RS will only be available with a seven-speed PDK ’box. The unit is bespoke to this RS, with Porsche going to such lengths because the loads put through the naturally aspirated RS compared with the turbocharged GT2 RS are very different. The shifts are quicker and the throttle response is also improved. The limited-slip differential is an electronically controlled, torque-vectoring item and there’s also rear-wheel steering and dynamic engine mounts as standard. 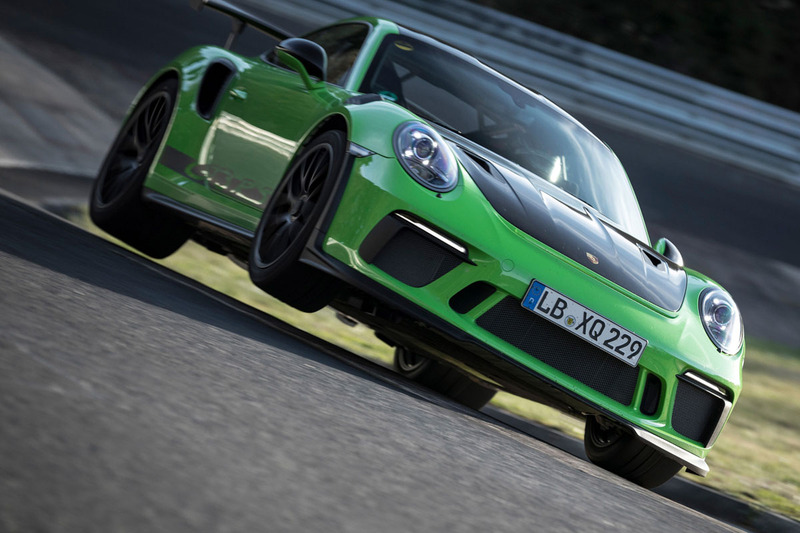 Underpinning the new GT3 RS are many of the suspension components developed for the GT2 RS. The adaptive PASM dampers have been recalibrated specifically for this flavour of RS, while the spring and damper rates sit between those of the GT3 and GT2 RS, the latter having twice the spring rate of the outgoing GT3 RS. All but the rear-steering joints are rose-jointed; the former have been further modified to improve agility, with comfort sacrificed for increased tactility and precision over a regular GT3. Running a 265/35 R20 tyre on the front and a 325/30 R21 on the rear, the RS’s wheel and tyre sizes are identical to those of a GT2 RS, but the rear tyre’s compound is specific to the GT3 RS. Carbon-ceramic brakes are optional and the forged wheels are each 100g lighter than those on the previous GT3 RS. Carbon-shelled bucket seats? Check. Lightweight door cards, door pulls made from seat-belt webbing, and storage nets in the doors? Check. Alcantara steering wheel? Yes, that too. The no-cost Clubsport package adds a half roll-cage, fire extinguisher and a six-point harness. 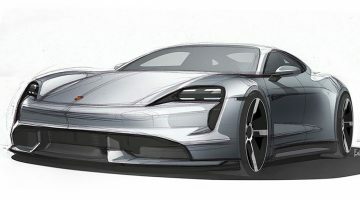 A Weissach Package will also be available and will add a carbonfibre front bonnet and anti-roll bar, a titanium half-cage and the GT2 RS magnesium wheels. However, high demand for the Weissach kit on the GT2 RS – 90 per cent of customers are speccing it – means those ticking the same box for their GT3 RS will have to wait a while longer for their car to be built. As with the previous GT3 RS and the current GT2 RS, this latest GT model leaves nothing in the pit garage when it comes to aerodynamic addenda. There’s a pair of cooling ducts in the front bonnet, the front wings retain the slats cut into their top surface to allow turbulent air out of the wheelarches, and there are air intakes positioned ahead of the rear wheels. Vents in the rear bumper draw air through the rear wheel openings. 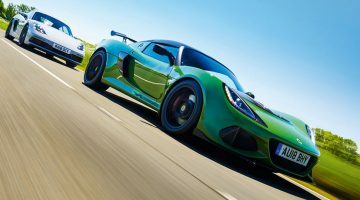 The fixed rear wing is from the GT2 RS and is positioned higher than the previous GT3 RS’s item, generating between seven and eight per cent more downforce but not at the expense of drag, which is said to be lower. Under the car is a new rear diffuser. The GT2 RS’s magnesium roof and thinner rear glass are used and the bumpers and wheelarches are lightweight polyurethane. Porsche’s 911 GT3 RS has evolved into little more than a Cup car with two seats and the provision for satnav and Bluetooth in place of a circuit map graphic stuck to the steering wheel and a car-to-pit intercom system. What has always blown us away after every GT3 RS drive is how approachable it is and the scarcely believable thrills and excitement you can extract from it, whether you’re Nick Tandy or a Nickelback groupie. Granted, to experience and enjoy its ultimate capabilities you need the skill set of the former and access to a circuit rather than the B660, but even so, like its turbocharged big brother, the new GT3 RS is set to be one of the purest, most engaging and exciting cars of the year. That first drive in the early summer can’t come soon enough. Next Article Lamborghini Urus review – is it a true Lamborghini?